The spectacular new musical version of a holiday classic! By the eight-time Oscar-winning composer of Disney’s Beauty and the Beast and The Little Mermaid, this singing-and-dancing musical version of Dickens’ Christmas classic provides a wonderfully fresh look at the story of Ebenezer Scrooge and the ghostly visits he receives one Christmas Eve. Originally produced at Madison Square Garden in New York City, this new musical of a beloved Christmas tale is sure to provide a festive evening of entertainment for the whole family. The photos in this gallery are from all of the photo calls for the show. Once all the photos have been posted to the gallery it will be available for a full download with every image. Please read the additional information on full gallery downloads by clicking here or by visiting our PTC product information page which has information regarding all the products we offer. Starting in the 2012-2013 season we will be combining all photo shoots into one gallery for each show. 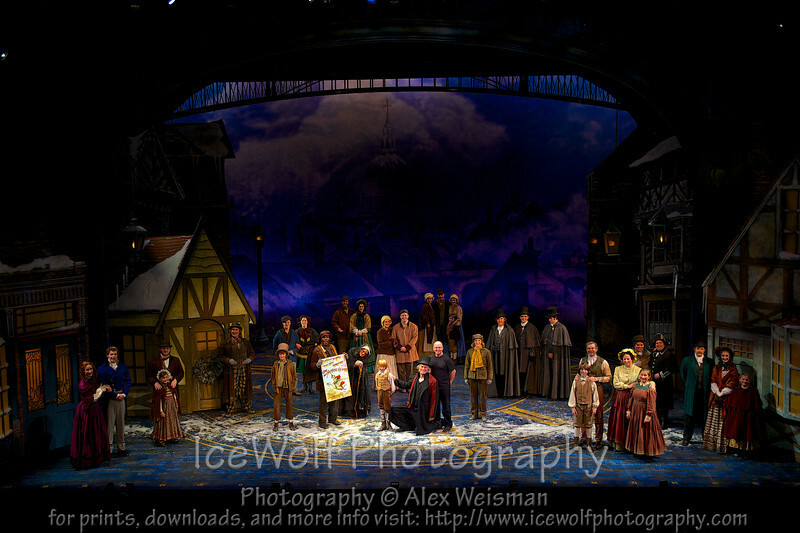 Now when you click on a gallery you will see the publicity photos, dress rehearsal photos, and archival photos. Once all the photos have been posted to the website you will be able to purchase the entire gallery for a flat rate. This rate is the same for every show. At this time there is no way to apply this to previous seasons, however should we be able to provide this service retroactively in the future, we will.